A comprehensive training of MATLAB which is started from the beginning and take you up to the programming and scripting function, the course also comprises on advanced topics like data analysis, data import/export, structures, curve-fitting, regression, vectorization, debugging, and designing dynamic systems with emphasis on model-based design techniques. Built-in libraries are discussed in detail driven by examples and problem-solving. Simulations and solver setting are taught for full control on result precision & accuracy. Powerful concepts of Masking, creating user-defined libraries, and creating fixed-point datatypes are shown with real-world applications. The course entails guidelines on good modeling practices used by the industry. Request us a peek into the course. 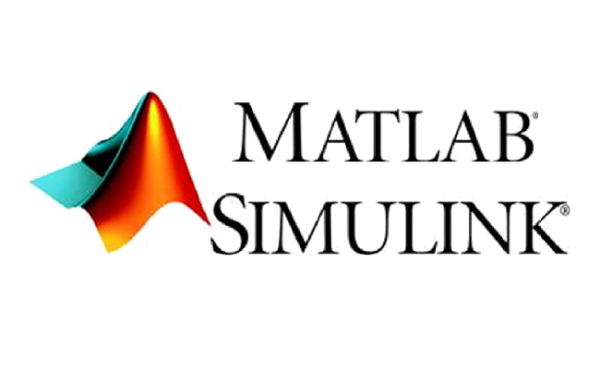 The course also covering the guidelines for optimal and efficient programming of MATLAB. 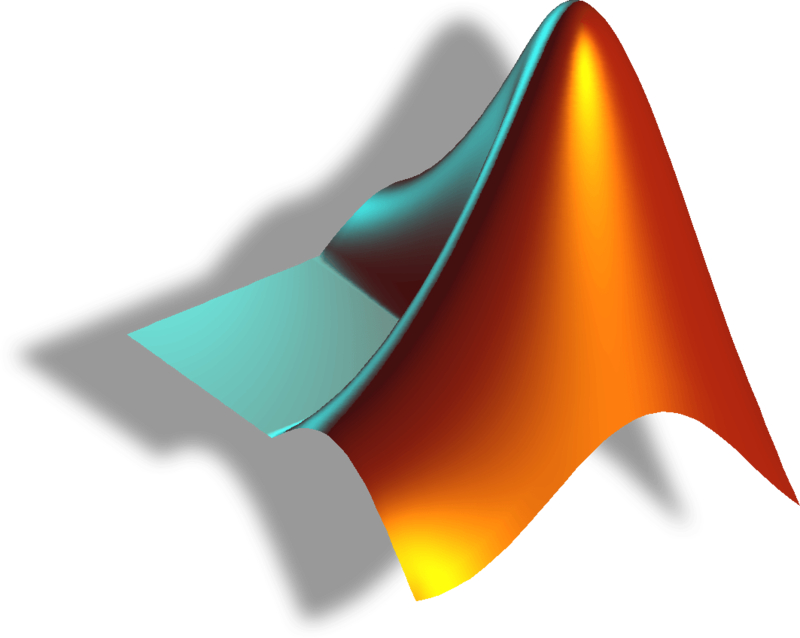 This course is a must for those intending to start using MATLAB for algorithm building in industry, academia or research. The GUIs tools are designed to help a trainee to grasp intricate features and the options are provided by built-in functions for common tasks like contrast-stretching, straight-line & circle finding, de-blurring, filtering in frequency domain, corner-locating, etc. As MATLAB is essential in industry is also used for image processing automation, this course is also necessary for those who are looking to accelerate their image-processing jobs using MATLAB. 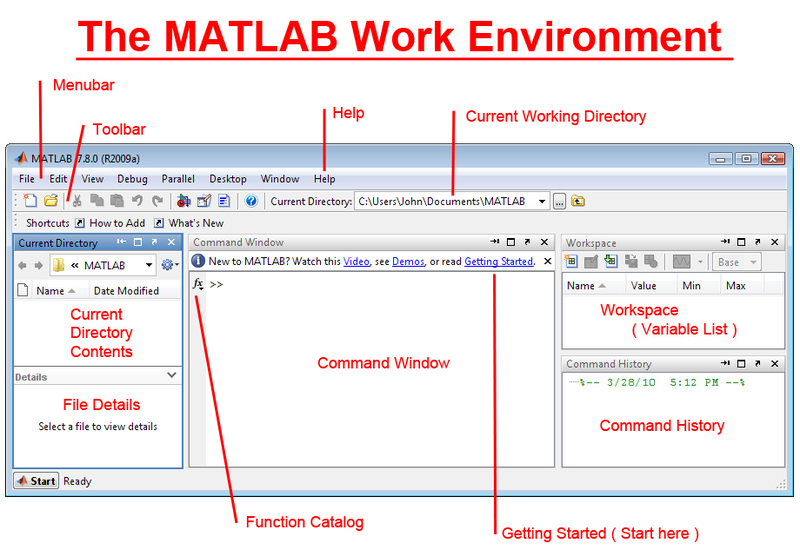 Research and Development Motives and Objective, now cannot meet without understanding of MATLAB and its programming. "The Pre-requisite of this program that the candidate should have the fundamental knowledge of logics, and programming and also be knowing about the usage of process engineering, because this training program is usually from professional students or professional. " As mentioned above the certifications are most important part now in the professional world. Especially in the field of IT, you cannot survive, if you don't have got the International Credentials with you. All big organizations Offer the different Certifications that accredited you in the professional world. 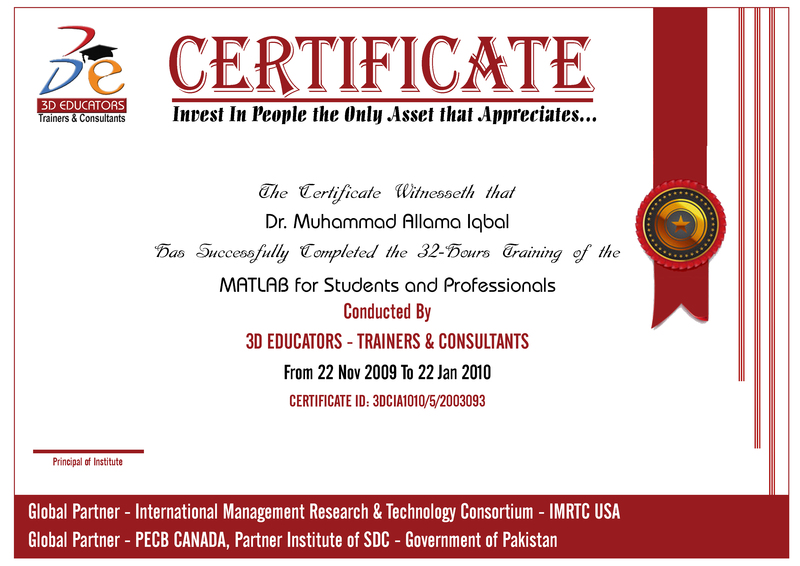 This is further clarify that MATLAB Certification Shall be finally given by the International Body from Skill Development Council - Federal Government of Pakistan.